In 2018, the central PA trail running scene took on a brand new look when 15 races teamed up to form the Rocksylvania Trail Series. The series showcases some of the best trail races in the state as we took the original Trophy Series and tweaked it to add more races and distance options to give runners more variety and more chances to win. There was a great turnout last year; runners ran over 43,800 miles in the 2018 Rocksylvania series races! In 2019 the series will expand even further to 20 local races broken down into four divisions based on race distance. More rocks! More roots! More climbs! More downhills! More beautiful scenic vistas! This will give runners the option of concentrating on distances that are more to their liking. You can run as many or as few races as you’d like, but the more races you run in one particular category, the better your chances are in winning a prize. Falcon Timing will be scoring each runner based on their age group finish at each race and prizes will be awarded to the top male and female of each age group at the end of the year. To earn a Rocksylvania tech tee, a runner must either run all 5 races in one category or finish at least 8 total races in the Series. Good luck everyone!!!! Below is a complete list of races. CJ's Resolution Challenge- Saturday, January 5th, 2019 @ 9:00am - CJ’s Resolution Challenge is a three hour event at RB Winter State Park where you can choose your race. Pick between either RC Revolutions or opt to participate in The Last Man Standing! This is a charity fundraising event that aims to raise money and awareness for two autism related charities. Check them out on our Beneficiaries page. Frozen Snot half marathon trail challenge - Saturday, February 2, 2019 @ 7:30am - over 5,800 ft of elevation gain in 13.5 miles of the Boulder Beast course. ...on the coldest (on average) weekend of the year... in the dead of winter... Have fun! OR take it easy and "only" do the 8.3 mile course. 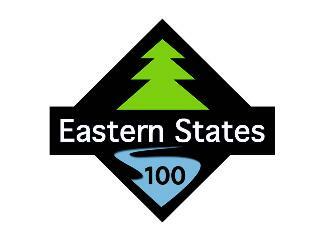 Eastern States 100 - Saturday, August 10th, 2019 - A world class wilderness trail experience in one of the most remote sections of the Pennsylvania Wilds. Only the hardiest of runners will complete this circumnavigation of Pine Creek. The largest creek in the United States. The Grand Canyon of Pennsylvania. The Iroquois called it Tiadaghton – the River of Pines. Or is it the Lost or Bewildered River? After 100 miles of multiple 900 – 1200 foot climbs and equally punishing descents, the second definition will seem appropriate. The PA Trail Dogs Craig and company put on a LOT of races. GREAT races. With the best maintained trails around. He's been a champion of Central PA trail running forever. Thank you for all you do, buddy. Falcon Race Timing is a professional race timing company focused on customer service. Bob, Joel, Andy, and company are experienced racers and race directors and can help your event go smoothly. Pisgah Runners John Johnson will win a race one day, then run at your pace to keep you company on another. His wife Amey is usually out there getting awesome pics of racers. They are the sweetest folks on the trails. 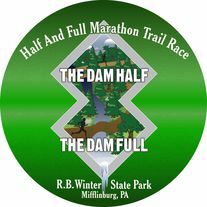 Allegheny Trailrunners is a running club based in South Central PA that organizes a series of trail races and group runs for all abilities, and advocate for trail development throughout the Alleghenies. The club is open to all levels of athletes who share a common love for being in the outdoors while promoting and preserving our region’s rich beauty and heritage. Tyoga Running Club supports regional athletes while promoting lifetime fitness in both youth and adults by creating outdoor activities that encourage an appreciation for the natural environment. Seven Mountains Conservation Corp - Home of the Raven trail half. 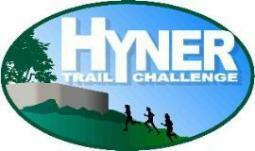 Juniata Valley Striders - Home of the Greenwood Furnace Trail Half. Founded in 1980, the Juniata Valley Striders Running Club has been promoting running and fitness in Mifflin and Juniata Counties through organization of and participation in hundreds of events. We encourage running in our community by creating and organizing several fun races in the area every year and by helping out with others!